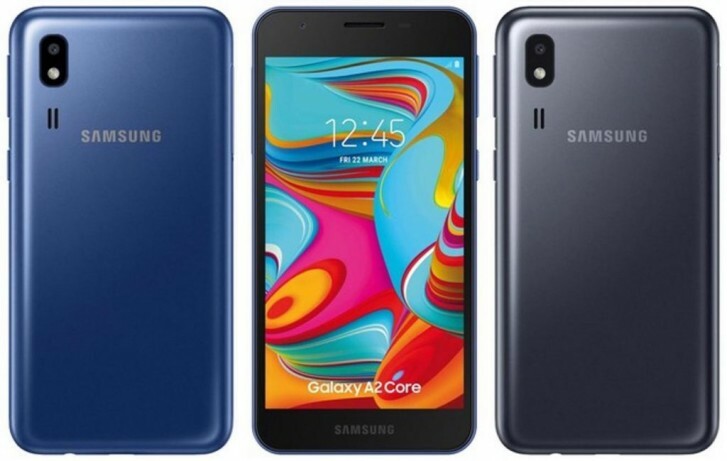 The Samsung Galaxy A2 Core is official and it is just as expected. The launch is low-key, so there isn�t even an official page for it yet on Samsung.com and right now, only a brick-and-mortar store has confirmed it will sell it (though that doesn�t necessarily mean it�s offline-exclusive). The 5� LCD screen is on the small side by modern standards. It has 540 x 960fps resolution (not sharp, but it won�t stress the chipset). There�s a 5MP camera on the back and a 5MP selfie camera on the front. No notches or anything here - just old-fashioned thick bezels. This is a dual SIM phone with VoLTE support, 2.4GHz Wi-Fi b/g/n and Bluetooth 4.2 LE. It has a 3.5mm headphone jack and there�s an FM radio receiver. The battery has 2,600mAh capacity. 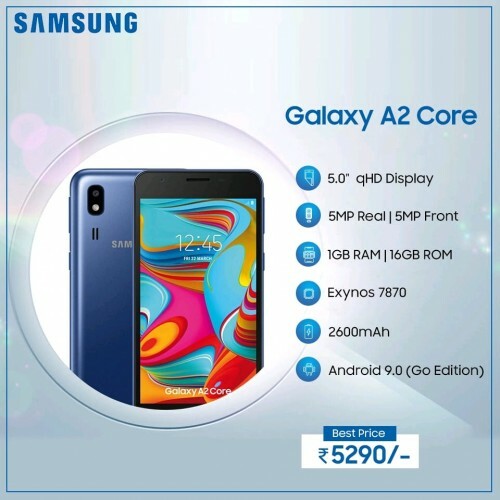 The Samsung A2 Core is available now for INR 5,300 ($76/�68).